Most foundation problems have their core cause or causes centered around soil interaction with water. In southeast Texas and the greater Houston / Galveston area, the common feature of our soils can be said to be very expansive. That means as the clays in the soils dry out, they contract or shrink. As the soils get wet and rehydrate, they swell or expand. This wet – dry cycle or swell – shrink cycle causes structures built on them to move. 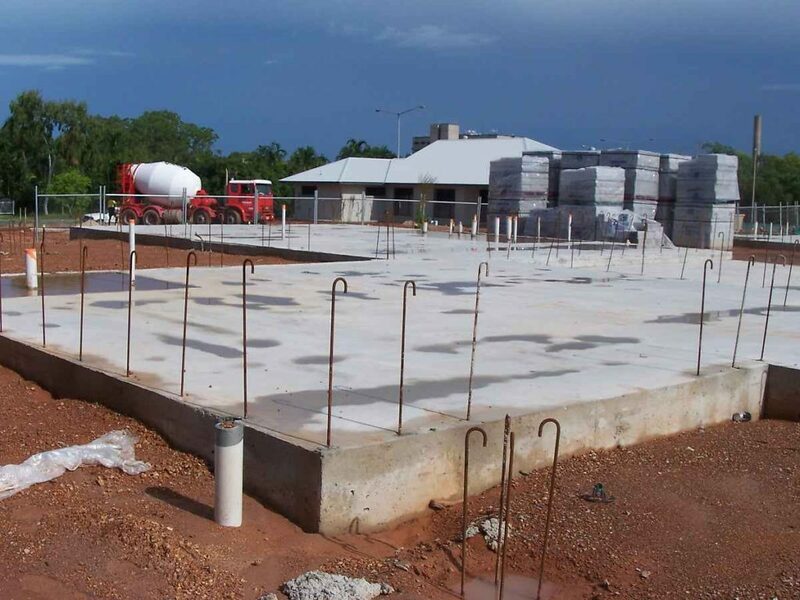 Our home’s foundations are engineered to withstand these normal foundation movements. Controlling excessive swings in the moisture content of the soils is one of the best ways for homeowners to minimize this foundation movement and keep foundation problems at bay. Once foundation problems become severe and industry tolerances for residential construction exceeded, expensive foundation repair may be required. Therefore, a little prevention now could save you a bundle later. In other articles on our website we have gone into several ways homeowners can take action to address a majority of issues they will run into. Today, we will talk about some of the causes of foundation movement that may not directly relate to keeping the consistent moisture content of the soils around the perimeter of your home. The first situation is when the house has just been built and is brand new. It may take a new house 18 months to 2 years for normal settling to take place. Everybody has seen the commercials on T.V. about what some of the signs of foundation movement are: cracks in the sheetrock, brick, tile, etc. Please, you should not see these large cracks. A few slight hairline cracks at the most. If the cracks are larger than 1/8 of an inch, either horizontal or vertical separation, it may be time to pay a professional to take a look. In addition to normal settling cracks, there will also be some cracks caused by the house drying out as it goes through a couple heating and cooling seasons. You may notice some of the caulking drying out and cracking. Usually re-applying a bead of caulk will solve the problem. If the crack shows up time and time again after the first 2 years of a new house, you may again want to seek the advice of an expert. Another situation could happen if a house has a fault running under the property. Many people laugh and think I am joking with them but most people are surprised to find out there are many faults in the Houston area, about 300 to 350 active faults. Once a house is built on a fault line, there is little that man can do to keep the ground from moving. The last situation is when there is erosion. Not just small erosion that most homeowners can handle, but on a larger scale. If there is large, uncontrolled erosion on a property adjacent to your property, take heed and warning. Once erosion starts to encroach on your property near your home’s foundation, movement can happen quickly and repair cost will rise. In other articles on our website, we will outline other potential contributors to foundation movement. Do you need expensive foundation repair if one or more of these problems happen on your property? Maybe not. In other articles, we will also suggest ways the homeowner could address these issues and save themselves money.